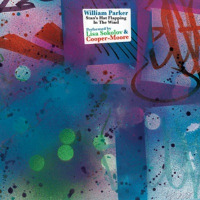 Following on the heels of his spectacular 2001 recording O'Neal's Porch, bassist William Parker has assembled the same quartet for a more roots-oriented session featuring vocalist Leena Conquest. Raining on the Moon draws upon these musicians' keen ability to listen and respond, and it aims successfully for a more organic sound. The sparkling intensity of the opener, "Hunk Pappa Blues," rests solidly on a foundation which combines Parker's bass groove with peppery support from drummer Hamid Drake. The tune takes a voyage into outer sound after the quartet states the theme, and horn players Rob Brown and Lewis Barnes use this opportunity to engage in a fiery and spirited exchange. Moments later, vocalist Leena Conquest soars out of the mix proclaiming "My name is Hope." This is where Parker begins to engage his long-term interest in poetry; his stated philosophy with respect to lyrics is that "the words help to tell the story inside the music." For those not familiar with Parker's poetry, these pieces pursue an elemental purity through mystical language and metaphor, often verging on the psychedelic. The twist on "Song of Hope" comes at its conclusion, where Conquest repeats the querying line "Would you let me live?" It's hard to say no. Music this free does not often incorporate vocals, and when it does it must walk the difficult tightrope between clear, open expression and the deep well of unpredictability. Conquest's singing on Raining on the Moon serves the over-riding thrust of the group, but its true strength comes from the words she delivers. Never pretentious and often almost childlike in their uncluttered message, the lyrics do indeed bring a higher level of meaning to the music in which they are embedded. 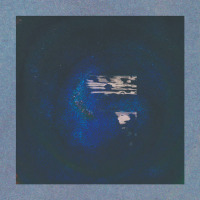 The instrumental portions of Raining on the Moon cover a range of territory but most often dwell in the realm of relaxed swing, warm blues, and pulsing, understated energy. What marks Raining on the Moon as unique in Parker's long list of recordings is its raw accessibility. Listeners from various backgrounds will find this disc inviting and exciting. And if that serves the purpose of introducing Parker's vision to new ears, it's more than done its job. 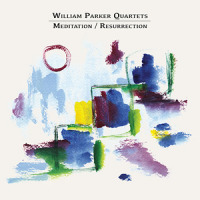 William Parker is one of those extremely rare musicians who seems to impart a warm glow to every musical group he joins. 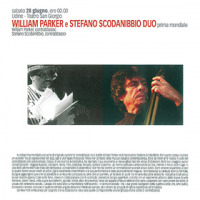 When jazz historians look back on improvised music at the turn of this century, William Parker will stand as a giant among men. Track Listing: Hunk Pappa Blues; Song of Hope; Old Tears; Raining on the Moon; Music Song; The Watermelon Song; James Baldwin to the Rescue; Donso Ngoni. 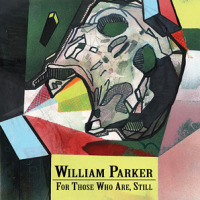 Personnel: William Parker: bass; Rob Brown: alto sax and flute; Lewis Barnes: trumpet; Hamid Drake: drums; Leena Conquest: vocals.